March 17, 2015, Montreal, Canada — Arton Capital, the global financial advisory firm specializing in investor programs for residency and citizenship, launched the Passport Index, the world’s first online interactive tool, which collects, displays and ranks the passports of the world. 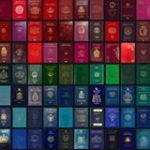 “Working in an industry that is so sensitive to origin and nationality, we wanted to display the diversity, the beauty and the power of world’s passports”, Armand Arton, president and CEO of Arton Capital explains. Visitors of www.passportindex.org can discover the world’s passports on a map, by country name, by passport power rank and even by the color of their cover. The ranking is based on points accumulated for each country that the passport holder can travel visa-free. The country list is based on the 193 UN member countries and 6 territories for a total of 199. The territories annexed to other countries are excluded. USA and UK top the list by passport power. In tie at second place are ranked France, Germany and South Korea. At the bottom of the list are the passports of Solomon Islands, Myanmar (Burma), South Sudan, Sao Tome and Principe. The Passport Index is just one of the numerous interactive tools made available by Arton. This particular project is open for visitors to contribute their own passport covers.